3.It acts as a medicine for itching,this aloe vera prevents the itching that occured due to the insect bites,allergies. 4.Aloe Vera heals the wounds,aloe vera is beneficial when included in ointment,lotions,creams.It cures the wounds due to its moisturizing property. 5.Skin care is the one of most benefits of aloe vera.Aloe vera is used mostly in Dermatology.It acts as a good moisturizer,cleanser.It cures acne,dimnishes wrinkles,softs the skin.It is widely used for curing sun burns. 1.Aloe vera should be avoided during pregnancy . 2.Aloe vera should be avoided for atleast two weeks after surgery(Any type of surgery). 3.Aloe vera should be avoided by the people who were suffeering from piles. 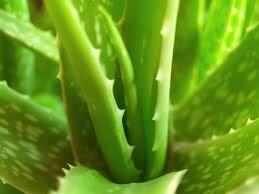 For diabetes ,blood pressure,ulcer patients,they need to consult doctor before going to use the aloe vera.